“Moving to DITA was a wise decision by upper-management, who foresaw the cost-savings in using XML in our documentation process,” recalls Keith Schengili-Roberts, Manager of Documentation and Localization at AMD’s Graphics Products group, which acquired his employer ATI Technologies in 2006. “But it was not until implementing IXIASOFT’s DITA CMS that we were able to realize the full promise of DITA.” Keith’s technical documentation team, based in Toronto and whose company produces the legendary AMD Radeon™ and FirePro™ graphics cards, were among the earliest adopters of DITA. By 2006, this technical publications team was “facing a growing number of document deliverables using a toolchain that wouldn’t scale,” recounts Schengili-Roberts. “But with IXIASOFT’s DITA CMS solution, AMD has cut localization costs in half, more than doubled writer productivity, and has improved the quality of our docs.” Here is the story of how this organization achieved such inspiring results. 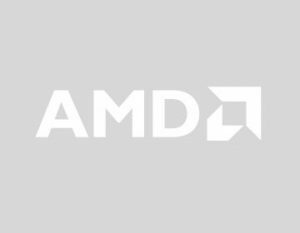 AMD is a $5B high-tech manufacturer with over 10,000 employees worldwide. Their dedication lies in collaborating with customers and technology partners to ignite the next generation of computing and graphics solutions at work, home and play. Its technical publications team translates their documentation in up to 21 languages. Compare DITA to the jet turbine engine: if your “aircraft” (read: “content volume”) is small, upgrading from a propeller to a jet engine is enough to change your life forever. However, if you try to pilot a jumbo jet (read: larger volumes of content), the engine is only one facet; you will also require an automated, fly-by-wire system to keep the plane under control. As content continued to grow after the initial DITA adoption stage, AMD experienced additional challenges. Under the old toolchain, the prospect for content reuse was low as there were no tools in place to provide advanced searching capabilities. Reducing the amount of time spent on formatting should translate into an increase in production, of course, but the 200% increase in our output surpassed all of our expectations. Multi-platform support was also critical. At the time, AMD had systems running multiple versions of Windows®, including Windows 98, Windows NT and Windows Server®. There are also development groups that work exclusively on Linux® and Mac OS systems. Keith wisely demanded a CMS that could thrive on all platforms. IXIASOFT’s DITA CMS is an Eclipse-based (Java) platform that ensures cross-OS, consistent performance. IXIASOFT's DITA CMS system combines the efficiencies inherent in topic-based authoring with industrial-strength processing tools. I can’t imagine any other way of using DITA more effectively. When discussing a software solution’s ROI, actions speak louder than words— but not nearly as often. In refreshing contrast, AMD discovered that IXIASOFT’s promise translated into tangible results. Many of these successes are due to the efficiencies delivered by IXIASOFT. More specifically, IXIASOFT’s DITA CMS preprocesses segments that have already been translated into the target language. If a phrase in English is unchanged, there is no need to re-translate that same segment into another target language and so the CMS automatically takes that out of equation. Therefore, the number of words that must be reviewed by the localization vendor is significantly less than under AMD’s old toolchain. Secondly, by empowering writers to reuse content, DITA CMS allows writers to create more documents in a shorter time-frame. When combined with IXIASOFT’s automated formatting features, “AMD has measured a 2.3x improvement in writer efficiency. In other words, for every 10 documents that a writer could produce under the old toolchain, he or she can now produce 23 documents in the same amount of time,” said Keith. From the Engineers’ standpoint, DITA CMS reduces their workload. The CMS allows the Doc&Loc team to only send portions of documents that are new or recently changed, rather than sending entire massive documents for them to review. IXIASOFT DITA CMS’s ease-of-use has made the transition to using DITA easy for new users. Outside of Keith’s group are other writers and engineers who are fast becoming evangelists for the system within their own groups. SMEs and other users have also been very enthusiastic and have expressed their support for the product. Customer satisfaction is also reinforced. The people on Keith’s team who send out and process the translation jobs (Localization Coordinators), spend much less time dealing with Quality Assurance fixes. The majority of their time used to be spent fixing desktop publishing errors that came up in multiple-language versions of various documents. With that problem eliminated, their time is now spent more effectively QA-ing the content as opposed to formatting. Today, AMD leads its industry peers in the efficiency and effectiveness of technical documentation. Keith’s group is viewed within the company as pioneers who have inspired an evaluation of IXIASOFT’s DITA CMS for the whole engineering division.